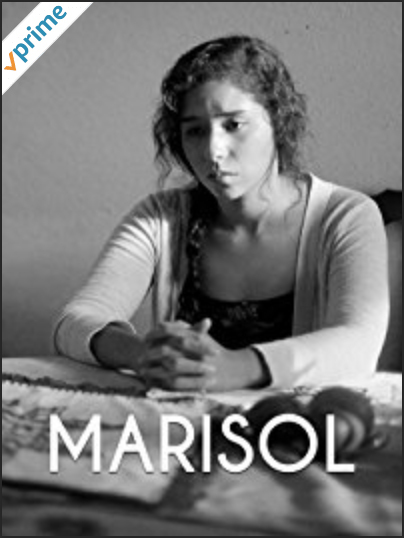 We are pleased to announce that Marisol is now available to stream on Amazon! Marisol tells the story of three women who are affected by immigration in Texas. The story of Marisol, a young college age Mexican woman in north Texas, is inspired by the real life stories of young people who uncover their family secret that they are, in fact, living in the US without legal documents. Amanda is a second generation Mexican-American actor and director from Denton, Texas. She has devoted her life to the visual arts from studying method acting at The American Academy of Dramatic Arts in Hollywood, California and working as a professional actor in L.A., Austin, Dallas, and N.Y. areas, to currently working on her M.F.A in Directing Narrative Cinema at the Brooklyn College Berry Feirstein Graduate School of Cinema and completing one of several festival-award-winning short films. Her artistic focus centers around social realism as she uses the medium of film as a catharsis for the hardships she’s experienced. Amanda continues to create work that comments on the rights of prison inmates and inmate loved ones, women’s rights and feminist issues, immigration and cultural issues within America. Her most recent work includes writing and directing a coming of age short film that explores the taboo of menstruation called Hide Herself. Cristina is a first generation Mexican-American filmmaker from Austin, Texas. She is currently in her third year of undergraduate studies for Radio, Television, and Film at the University of North Texas. Cristina’s artistic focus is writing and directing short films based on personal hardships and social issues. She is currently directing her debut short film “Quince,” a story about a fifteen year old girl who is forced to make mature decisions shortly after her quinceanera. Sally has been a professional actress for 30 years working extensively in stage and broadcast media (voice over and film/tv). She is a member of the Dallas Theater Center Brierley Resident Acting Company. Most recently she appeared at DTC in Medea. She garnered numerous award for her portrayal of Medea, including “2015 Actor of the Year.” Sally is a 2011 Lunt-Fontanne Fellowship Award recipient, Co-Founder of Dallas’ Kitchen Dog Theater. Sally is proud to serve the University of North Texas Department of Theater as Associate Professor of Acting and Voice. She is represented by The Mary Collins Agency. Screening Saturday July 9th at 4:30pm at The Texas Theater in Oak Cliff Dallas. Share your story with us! One of the most meaningful ways to contribute to the public dialogue on immigration is to tell your story and how it has impacted you. It provides all of us the opportunity to reflect on how this affects real people instead of nameless and faceless numbers. To have your story shared on our news blog, submit your story by filling out the form below.